This is Apple Crumble Cocktail a sponsored post written by me on behalf of Don Q rum. All opinions are 100% mine. 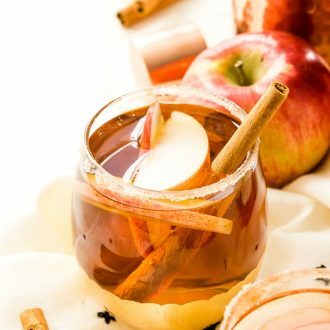 This Apple Crumble Cocktail is so simple to make and tastes like a crumbly apple pie in liquid form, a delicious fall alcoholic drink you can make in minutes! Fall is in full swing and I for one am loving all the seasonal drinks coming out of my kitchen! 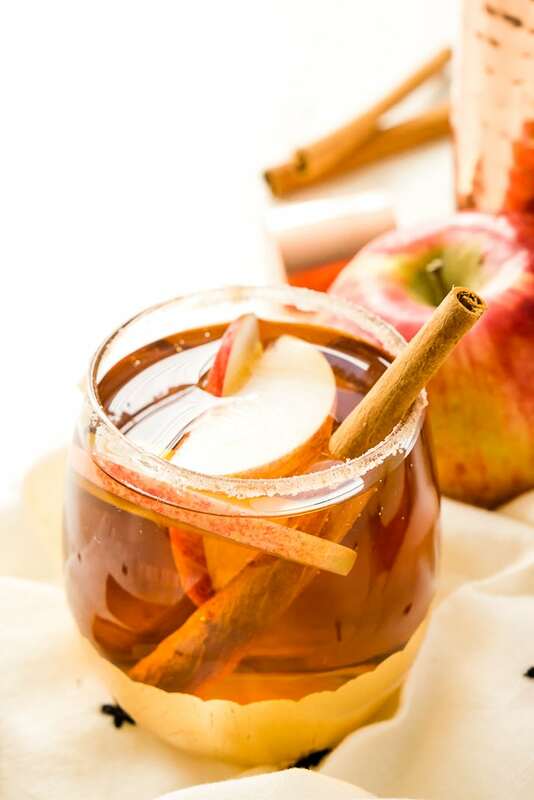 Especially this Apple Crumble Cocktail which is the perfect cozy cocktail for chilly months. 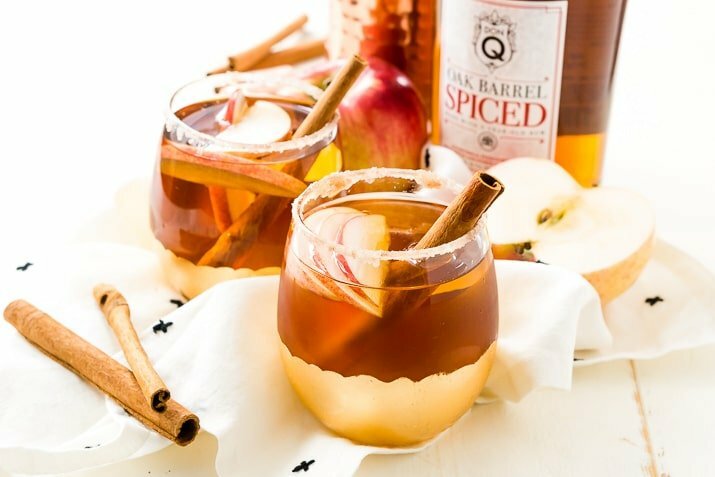 This cocktail is smooth and delicious and combines the amazing flavor of a New England fall with Don Q’s delicious Puerto Rican Spiced rum. It’s seriously a match made in a cocktail shaker. Puerto Rico is one of my favorite places I’ve ever been and let me tell ya, they sure know how to do rum! Destilería Serrallés is one of America’s oldest family-owned businesses with a rum making tradition that started in 1865. Destilería Serrallés is based in Ponce, Puerto Rico where it produces its flagship product, the award-winning Don Q rum, the #1 selling rum on the island. Don Q Rum is aged, craft, exceptional and environmentally responsible. They’re one of the greenest distilleries in the world and one of the only ones that don’t dump wastewater into the ocean. The Don Q Spiced rum is a premium spiced rum with warm, radiant, rich, golden hues and a medium to heavy texture evident on the glass. 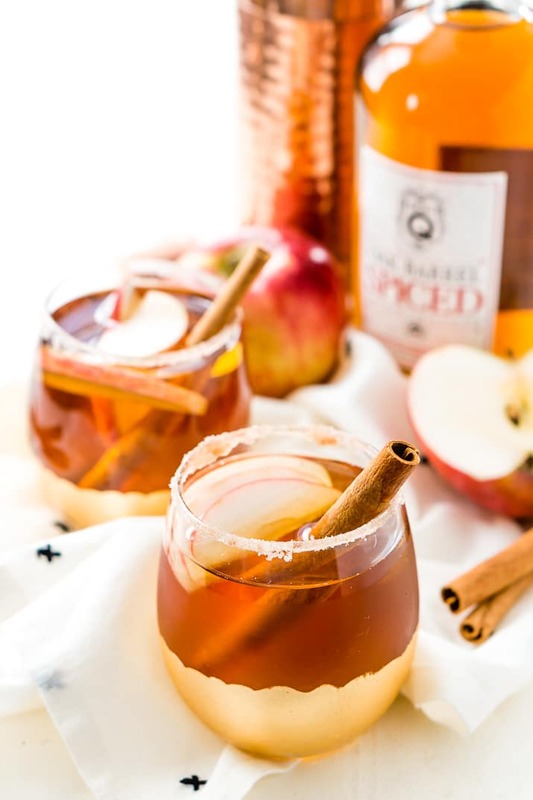 It lends lovely notes to the apple juice and spice of this apple crumble cocktail, that will have you head over heels in love. Don Q Spiced has been aged at least three years in American white oak barrels. Warm kitchen spices like vanilla, cinnamon, and caramel slowly give way to oaky notes and a touch of roasted coffee. What Taste Notes are in Don Q Spiced Rum? What Can You Mix With Spiced Rum? The most common mixer is cola, but I prefer juice based rum cocktails. Rum is a very friendly spirit and mixes well with a number of different things, so just have fun with it! 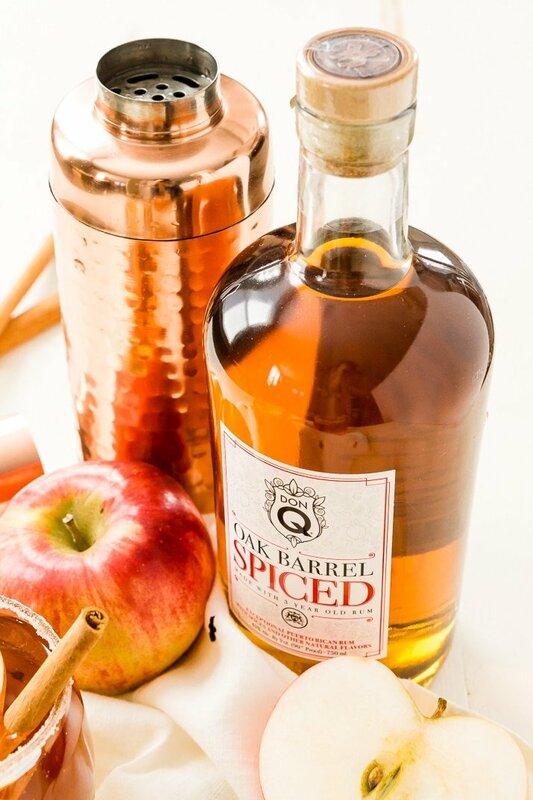 What’s your favorite cocktail to make with Don Q Spiced Rum? Wet the rim of a glass and dip in cinnamon sugar to coat. Add rum, apple juice, vanilla, and ice to a cocktail shaker and shake, then pour into the glass. 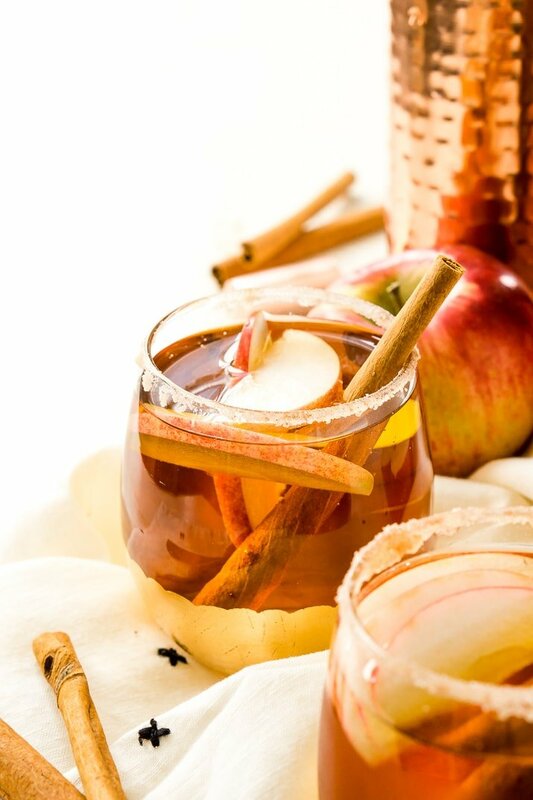 Garnish with apple slices and a cinnamon stick. Pin this Apple Crumble Cocktail for Later! This drink is so beautiful! I can’t wait to try it! A wonderful recipe idea for cocktail lovers!